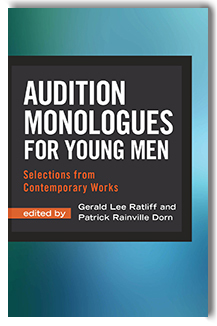 This compelling collection of 70 monologues for young men approximately 15 to 30 years old includes a complete chapter that details how to choose a monologue, develop the character, and audition with confidence. With a variety of contemporary sources including both published plays and original works, this book provides selections that will help capture the minds and hearts of directors. Each monologue is prefaced by a description of the character and his emotional context, as well as hints on how to effectively portray the mood of the piece. The characters are diverse in age, background, ethnicity, and social status. Read more...The book is organized into unique categories based on the mood of the monologues: A Lighter Touch, Guilt and Regret, Tragedy and Trauma, Hope and Gratitude, Outsiders, Birds of a Feather, and Literary and Period. 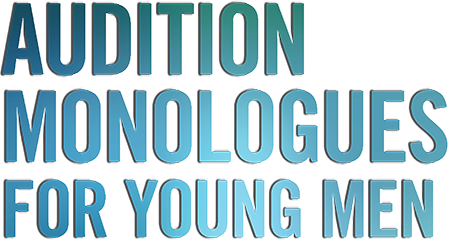 With excerpts of various lengths that are ideal for auditions, contests, workshops, and acting classes, this anthology belongs in every school and theatre library. These collections of monologues and duo scenes features fresh, imaginative character portraits for young women. These challenging character studies are suitable for competitive auditions, acting or literature classes, forensic contests and more.